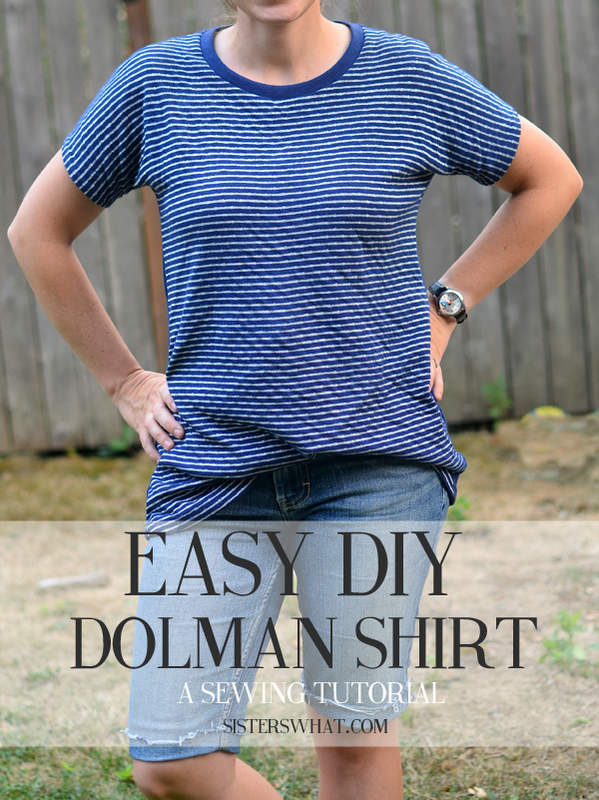 ' Easy DIY Dolman Shirt sewing tutorial - Sisters, What! 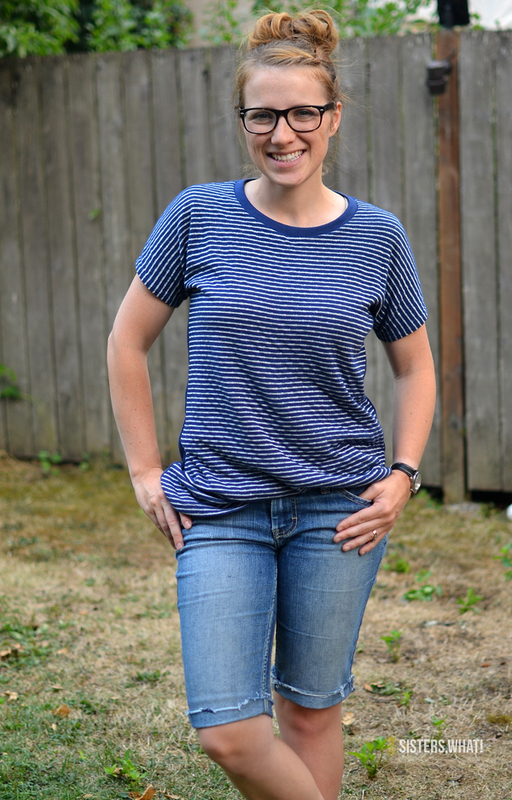 Let me introduce to you one of my new favorite and easiest top to sew: the easy DIY dolman shirt!! I actually made this last summer, but I'm only now getting around to posting it. Ha, that's life for ya. Anyway, seriously it really is easy!!!! I even got my sister to sew it from start to finish (including the cutting) and she doesn't typically have time to sew. The best part about it is that there is no need to fuss over adding sleeves. That alone makes this shirt possible to sew in 30 minutes...well if you don't make any silly mistakes as I do all the time. 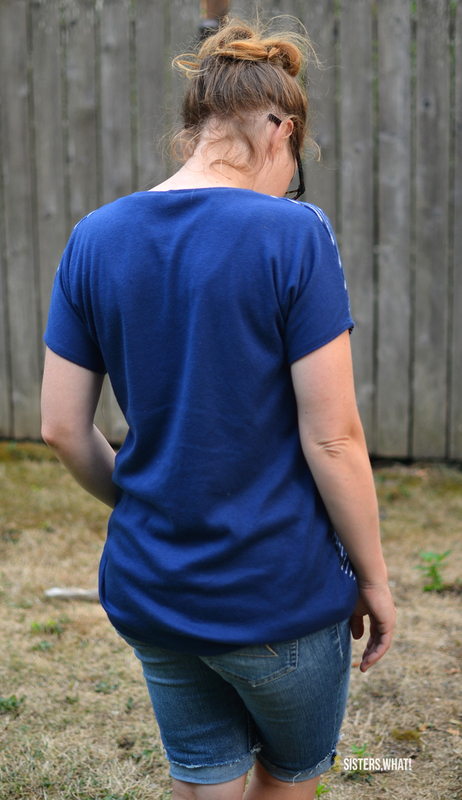 But my silly mistakes aside (because they happen no matter how much I sew) this is the easiest shirt ever!! I had some left over fabric from my parisian top, so I used it on this shirt. The best part of the fabric (from joanns) is that it is double sided so one side was polka dot (see HERE) and the other striped. So two shirts out of one kind of fabric! - 1 1/2 Knit Fabric - 1 yard usually works for me, but I always get a little more just in case. First, Fold your fabric in half right sides together (unless using two different knit fabrics pieces, in that case put them right sides together. Now the best way too get it fitting you is to get your favorite and most comfortable fitted t-shirt. You're going to lay it on top of the fabric. For this part if your nervous about just cutting without an actual pattern, then feel free to do this part on pattern paper first then cut it out. Now I usually do 1/2" seam allowance, so keep that in mind before cutting. *also remember to include a seam allowance for the top of the shoulders too. 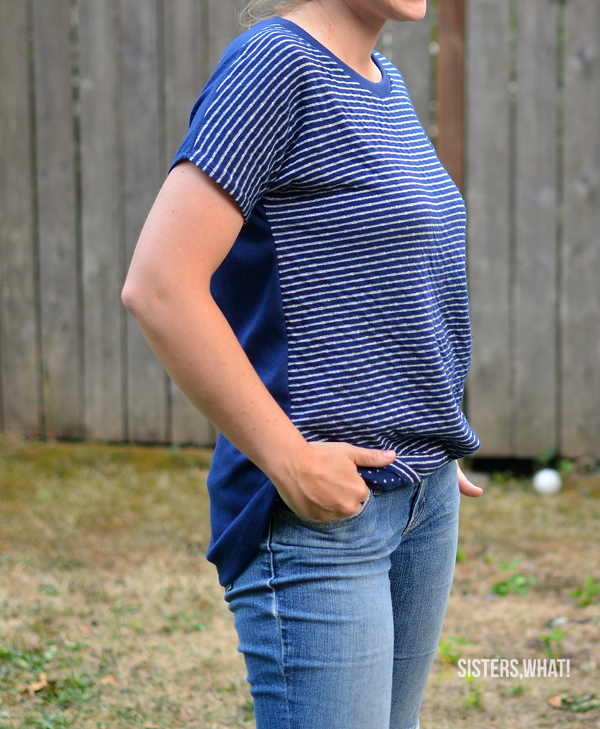 To make it loose fitting, you want to add a 3-4 inches plus seam allowance below where your favorite favorite shirt armpits are and make a curved line down under the armpits (see below). As you can see below the armpit holes. 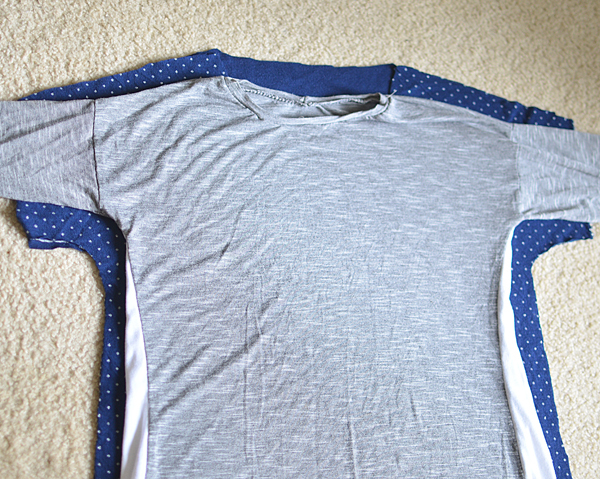 Also, cut out a neck line using your tshirt as pattern or doing your own. Now that you have it cut prepare to sew. You should have cut out your front and back piece already matching and right sides together. 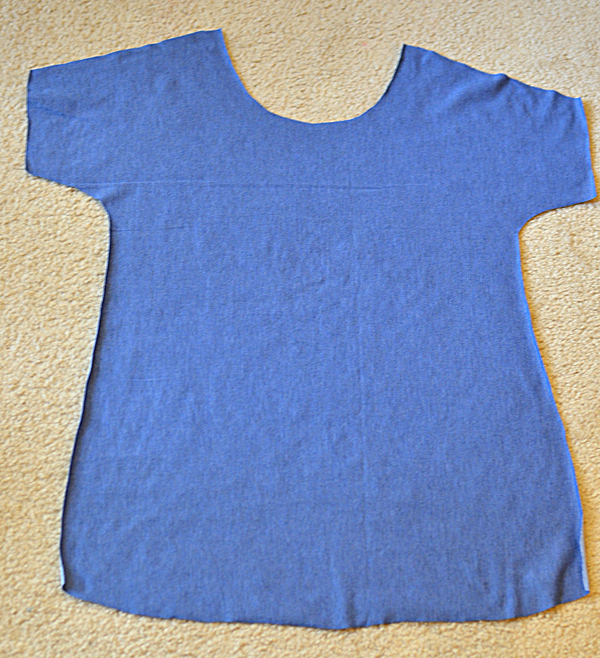 Pin the shoulders and base stitch the shoulders together. Next base stitch the sides together. 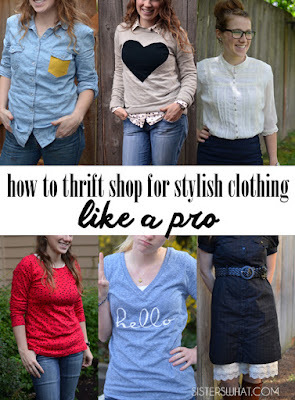 Try it on and make sure you like the fit. Once you're satisfied, use an overlock stitch or a serger on all the seams to finish the seams. Switch to your twin needle and turn your sleeve in 1/2 inch. I sometimes iron the seam so it doesn't move while sewing. Then sew your seam. Do the same with the hem of the shirt but a 1 inch seam. The twin needle will make your shirt look professionally made. Next step is the neck line. One option is turning down the neck line and sewing the seam closed. Or you can add a neck band. 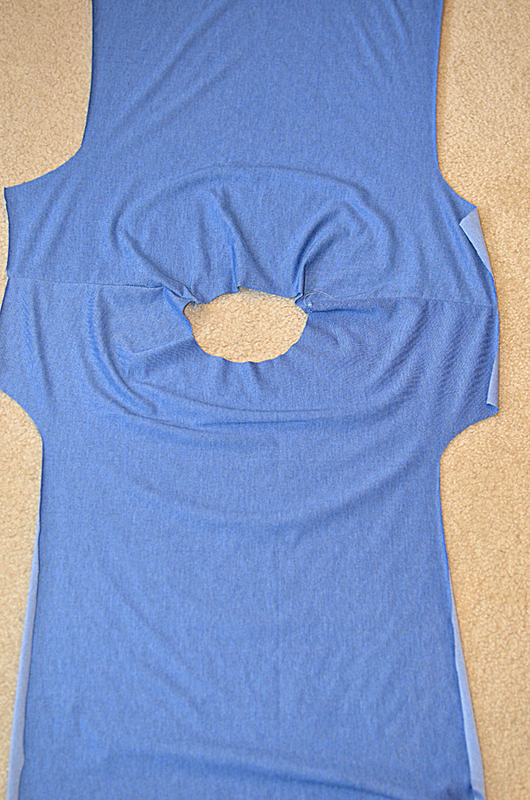 To add a neck band measure your neckline and subtract 3-4 inches off (depending on how stretchy your fabric is). Making it smaller is important because it will help it lay flat. 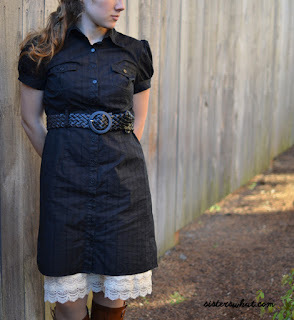 An example neckband size would be 1 1/2 inches wide and 17 inches long (depending on our neck opening). Sew ends together of neck band and then fold in half with wrong sides together and iron. 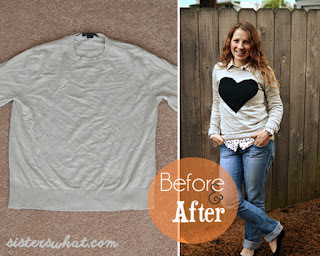 Pin the neckline to your shirt. Now, because it is smaller than your actual shirt, you want to stretch it as you pin. One trick I do is pin the neck band on the shirt at four intersections of the shirt then finish stretching and pinning. Sew it on and then iron it open. ***If you need more detailed instructions for neckbands with pictures, Made By Rae has a great tutorial. 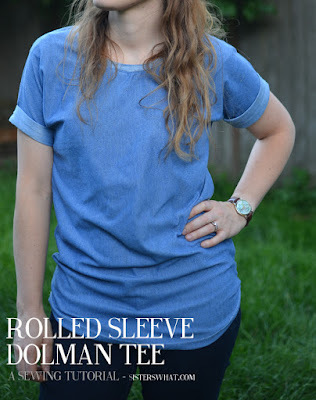 And make sure you check out the DIY rolled sleeve dolman shirt HERE. Happy me made may! !